Lewis Rice associate Benjamin J. Siders was quoted in a recent article in Managing Intellectual Property. The online article Is Trademarkville Part of an IP Backlash among Developers? analyzed the implications of Trademarkville, a game created to parody the controversial trademark disputes in the app game industry. In recent years, makers of wildly popular games such as Candy Crush Saga have tried to register broad trademarks such as the word "Candy." These moves riled many indie studios, which often lack the resources to pursue broad intellectual property portfolios. Ben highlighted the predicament facing many indie game developers today: the process of acquiring intellectual property protection can be longer than the lifespan of the game itself, particularly for patents. However, branding should not be overlooked, as the finer details contribute to a game's success and should be considered as well. "So much of a game is about its theme and feel," Ben said in the article. "Anyone can make a game that plays like Monopoly but only one company can call it that." He discusses options for developers to acquire intellectual property defensively and on an indie studio's budget. To read the full Managing IP article, click here. 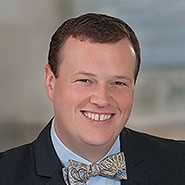 Ben dedicates his practice to intellectual property, licensing, and general civil litigation, with emphasis on working with small businesses, entrepreneurs, and startups. He is licensed to practice before the U.S. Patent and Trademark Office, and he works with clients on software, networking, and other computer technology patents, as well as inventions in the mechanical, industrial, chemical, and biomedical arts. A former software engineer, he is also an officer in the St. Louis Chapter of the International Game Developers Association and is co-inventor on a pending video game technology patent application.